Whilst booking a theory test, you were previously able to select the option of a voiceover to take the theory test in a different language other than English or Welsh. The theory test had 21 languages available to be taken and is ideal if English is not your primary language or if you have difficulty understanding written English. From 7 April 2014. the DVSA ended the ability to choose from 21 language voiceovers or to have an interpreter on the theory test. Whilst taking the theory test, you will hear a voiceover through headphones of the language you have chosen when you booked the theory test. You are able to hear the questions and possible answers as many times as you wish and the questions are read out to you automatically. If you have dyslexia or other reading difficulties, the theory test is available in English or Welsh voiceover. You can also ask to have more time to do the multiple-choice part of the theory test. If you do need more time, you must send proof of your reading difficulty to the theory test booking customer services. 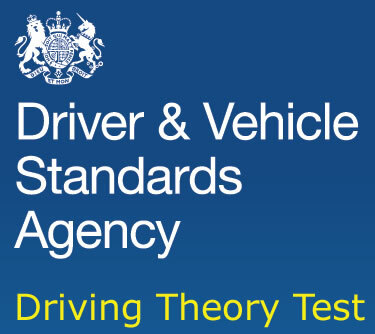 The learning to drive section provides all DVSA booking information, including the various methods to book a theory test. Hello Manal. A voiceover in different languages is not longer permitted on the theory test. You’ll need to take it in English and within the same time constraints as other candidates. Can i do the theory test IN Portuguese ?? Portuguese is no longer supported on the theory test. Hi can I do my test in Bulgarian? The languages available to take the theory test in are only English, Welsh or British sign language. Can I do in urdu or Punjabi language??? No, currently it’s English, Welsh or British sign language only. Can my wife do theory test Lithuina language? Only English and Welsh Orhan.